Perfect stay, would absolutely recommend! Free towels, hot showers, decent wifi, hearty breakfast, and lovely staff. Only downside: laundry service is priced at 3000CLP/kg. 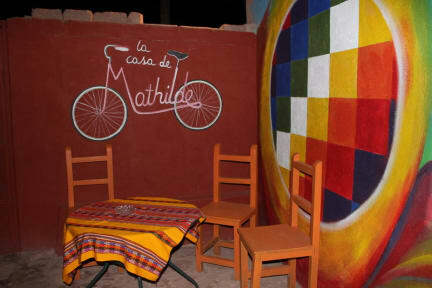 A wonderful hostel in San Pedro de Atacama. I stayed for 5 nights and it felt like home immediately. The hostel is a short walk from the bus terminal and the center of town. The rooms are big and the beds are really comfortable. The host, Celia is fabulous and I enjoyed all our moments of interaction. The hostel is kept in excellent condition, very clean and secure. The kitchen is fully equipped and it's close to a few markets if you want to safe some money and prepare food there. This hostel was amazing. Matilde is incredibly kind and welcoming, and really takes in interest in her guests. She was very helpful with explaining my options for getting to the airport arranging a transfer pick-up. The hostel was very clean, room was very warm and the water was hot. The breakfast was also very nice. ¡Muy amable, gracias por todo Matilde! Casa De Matilde was a pleasure to stay at and I would highly recommend anyone who is visiting San Pedro to consider a stay here. Reasons why; Very hot showers, extremely welcoming hosts, calm environment, willing to help anyway they can, secure, comfortable and simple bedrooms, free reign of the television (I watched the premiership games). Highlights during my stay; changed my booking to support my 4 day trip to uyuni, rang my transfer for me, personalised treatment (hosts knew me by name). Great hostel with friendly owner who was happy to help me with various questions including confirming my bus transfer to Calama. 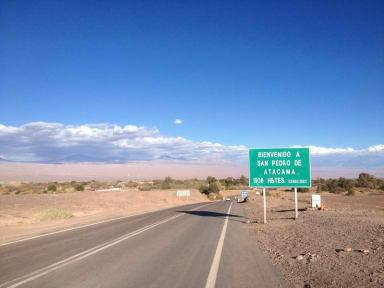 The location is great - within walking distance from the Chilean customs and the main town area. As I was checking out early, he was accommodating to my request for a pre-made breakfast. A nice hostel that’s not too far from everything. Had a good shower and a comfy bed. Very friendly staff. Good kitchen facilities. The lady in charge there is very nice but hardly speaking any English and could not offer help with recommendations about the place. When I emailed them with questions before arrival, I only received responses in Spanish. There is no shampoo or body wash or towels for hire so you need to bring everything yourself. There is no interaction among people who stay there so if you are looking to meet and socialize with other travelers, this is not the place.